Tribal Jewelry Is Still In Demand! India is a land of rich cultures and traditions. In India, women do not wear jewelry for their beauty. Instead, it is worn for therapeutic reasons. Every single piece of jewelry has its importance. Some Indian people also think that jewelry improves the body systems of the women. Jewelry is equally important in today era. Though, the trends or fashion keep on changing. Now, the trend of tribal jewelry has again hit the market. 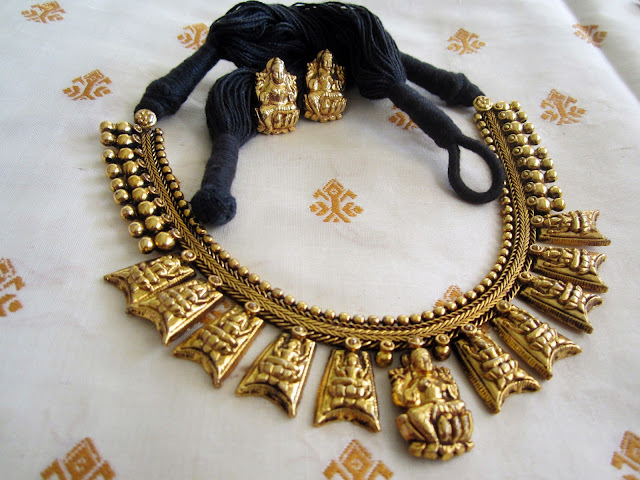 Tribal Jewelry is one of the unique and enchanting forms of jewelry in India. It does not include any shiny or flamboyant stone. Still, it looks desirable. This simple jewelry is made up of shell, clay, wood, and some metals. In spite of the modern trends, the culture and demand of tribal jewelry have not faded and decreased respectively. Some women prefer to wear this kind of stuff particularly. From a very early time, tribal jewelry is worn. There are many tribal communities across the world. In countries like India, Africa, and Egypt there are some communities. In India, Rajasthan’s Banjara community is very famous for their tribal jewelry. They wear such a big size ornaments, which are made from shells, beads, and ghungroos. They are heavy and difficult to handle, but despite this, women love them. • Bastar: The tribes found in the state of Madhya Pradesh have a high culture. They are well known for the ornaments made of copper, silver, glass, and peacock feather too. The old bronze coins are also worn by them, which look fantastic. • Khasi and Garo: The people from these regions have a perfect sense of jewelry art. The necklaces are made with red coral beads, which are together strung in a strong thread. The region is well-known for some unique traditions. • Bhutia: The Bhutia tribe, which belongs to Sikkim is very popular for their unique jewelry designs. They mostly produce beautiful designs of skulls and bones. They use silver and gold for making jewelry. The unique thing about their jewelry is that they use 24-karat gold. You can search for buying tribal jewelry online in India and get this jewelry. • Karnataka Tribes: They are famous for their coin jewelry. They use silver and copper coins for creating unique styled, and beautiful ornaments and jewelry. They give an antique look, which is now also trending. Now, tribal jewelry is purchased and sold all over the world. The jewelry has widely attracted the urban people. The unique designs of tribal jewelry have again caught the attention of the customers. Today, there is a wide variety of this type of jewelry in the market. The first and most significant advantage of this jewelry is that they can be worn on a daily basis and have such a reasonable price. You can purchase from anywhere. Now you can go for online shopping for tribal jewelry where you can find your favorite colors and designs, which suits you the best. Buy latest and trending bangles, necklaces, and earrings at a good price.